Imagine that you are waiting in a queue at the security desk of a hi-tech building, to fill in a visitor pass. The waiting seems endless as the queue at the desk does not seem to move out quickly. Will the waiting ever end? Probably, but with an inordinate amount of delay and anxiety. Your entire perception on the functioning of the organization would have by this time taken a negative side. First impressions last. Now imagine if the entire process had been automated, would it not have heightened your perception of the organization that you are visiting. You can prevent your visitors from facing a similar situation and welcome them in smiling. The proof of the pudding lies in the eating – come along taste Hardshop… Office Administration will never be the same again! "Hardshop" is the cost effective solution for all those organizations who would like to effectivise their office administration functions. The very richness and diversity of this tool assist organizations in simplifying the complexity of handling office administration functions in the new age organizations. Hardshop is the tool that adapts to the needs of even the most demanding clients and is packed with functionality that helps you satisfy your visitors at the very first go. Each functionality delivered by Hardshop is of the highest reliability to ensure the fastest payback for the investment being made. Each aspect of Hardshop results in further ROI increases. Hardshop gets the job done quickly and reliably while allowing for easy adaptability to changes without coding. The non-traditional approach of Hardshop maximizes each end users contribution to the organizations success. Business rules are flexible and can be changed by authorized end users. This is the key for massive productivity gain. Real time checks and controls avoid security lapses and are achieved strikingly fast. Hardshop is the resource that can reduce the number of security / welcome desk personnel needed to handle front office operations. RFDI tagging to be introduced to help track movement of visitors in the premises. 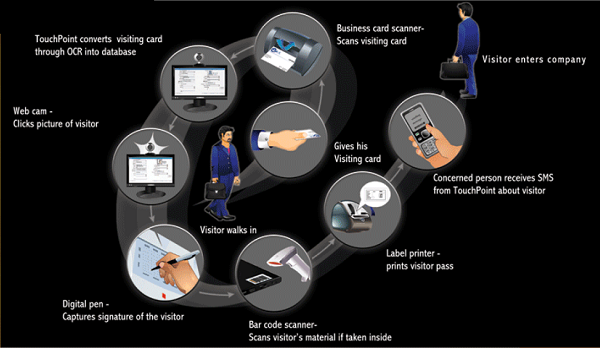 Print your entry passes with the image of the Visitor and create a difference. Capture all relevant details pertaining to employees while working on holidays, off duty days. All details pertaining to various activities of contract staff are captured along with date, time and photograph. Meticulous tracking of usage of vehicles owned by the company. Leaves no scope to miss out on any call received. All calls are escalated through mails to the respective employees. Maintain a thoroughly professional approach to handling appointments of employees without missing out on any important messages. 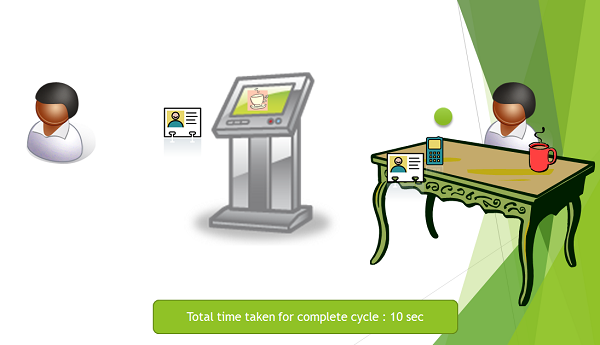 Capture the movement of non-employees with date time in, date time out, etc. along with their photograph when token number is keyed in. Maintain complete control on movement of materials into and out of the organization. Custodians of the keys are specifically assigned and movement is monitored. Maintain important activities like monitoring expenses incurred on water, daily’s, periodicals and courier service. 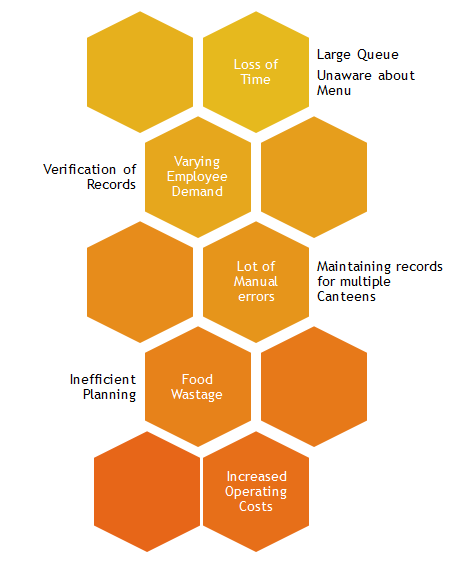 "Hardshop SIMPLY ALLOWS YOU TO FOCUS ON WHAT YOU DO BEST - MANAGING YOUR BUSINESS"
The usage of the canteen by the employees depends on many factors like centralized food distribution centre with swift and simplicity in operations. THS CMS design provides a user friendly system that facilitates quick and efficient operations to cover larger section of employees within a specified time. THS CMS is entirely paperless. This system is also compatible in an environment where multiple caterers operate in a closed environment or at multiple locations. THS CMS is also includes Multi Company facility where the cost for every company can be divided as per the actual usage. Submit it to HR Dept. Eliminates the cashing up & reconciling process at every day end. Daily or Monthly limits can be setup on account transactions. Card Balances are available at all times with or without the card. Amount is stored in the card as well as in the software. 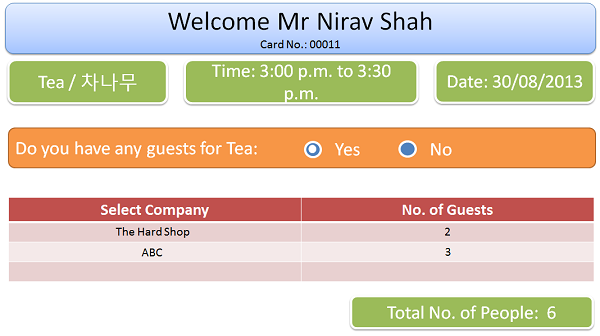 Creates transparency between the canteen vendor & the corporate house giving excellent ROI.